Morris Sackett’s wild ride continues in this third issue from the creative team of Geoffrey Thorne, Khary Randolph, Thony Silas and Emilio Lopez. 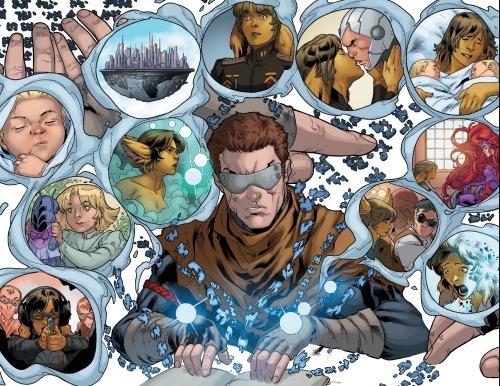 Morris’ new life as the Inhuman, Mosaic, has come with a lot of surprising revelations. 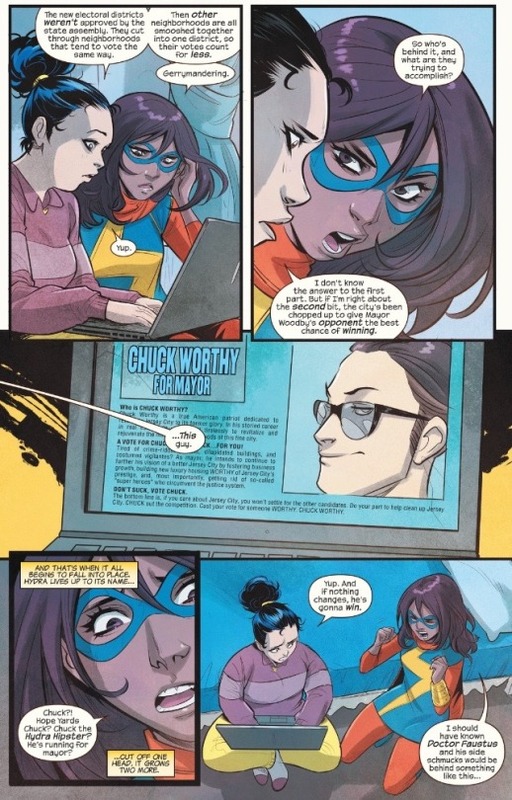 In this issue, Morris discovers some of the limitations of his powers as well as the sad truth that much of his former life had been built on lies. While the shadowy Brand Corporation tries to ascertain the status and whereabouts of ‘Pops’ Sachett’s son, Morris himself returns to his swanky midtown apartment only to find Fife crashed out there. Fife was the young man whom Morris had possessed when he first used his powers. It seems that this possession entails something of a two-way street and Fife was left with quickly fading memories of who Morris is and his life prior to Terrigenesis. Furthermore, the fact that Morris had once possessed Fife somehow enables Fife to see him in his ghostly form. Morris’ girlfriend, Tia, and her personal assistant, Cece, arrive at the apartment to find Fife. They cannot see Morris and assume that Fifi is a ‘stalkarazzi’ there to pilfer Sacket’s personal items. Cece is actually a serious badass and beats the crud out of poor Fife with her tablet. Morris attempts to leap back into Fife’s body so to explain, but discovers that he’s locked out; it would seem that Mosaic can only occupy a given body once and never again. Morris considers leaping into Tia’s body, but decides it would be too much of an invasion of his girlfriend’s privacy… though he has no such compunction about invading the privacy of her assistant and instead possesses Cece. Taking in Cece’s memories, Morris discovers the alarming origins of his and Tia’s relationship. It turns out that Tia was actually hired by Morris’ father to merely pretend to be Morris’ girlfriend. Morris’ dad felt that it was a necessary move to improve Morris’ Q-ratings among the female demographic. And it would be mutually beneficial to Tia, whose own career as a pop-star was beginning to falter. Tia doesn’t love Morris, she never did. Indeed she’s in a relationship with Cece and she has only pretended to be with Morris for money and to enhance her own career. It’s devastating for Morris to discover all this… to learn that his relationship with Tia has been a scam orchestrated by his father. None of these people really care for him, they all just want to use him. Livid, Morris is intent on finding his father and having it out with him. Yet his dad is all the way on the other side of town and Morris has no patients for public transportation. 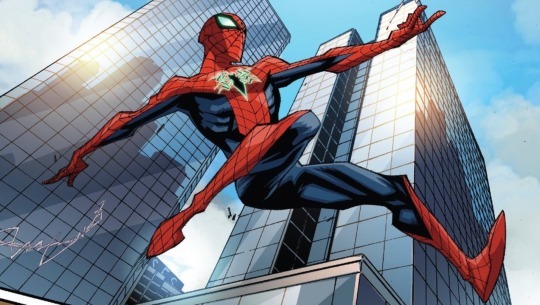 That is when he sees The Amazing Spider-Man swing by. It’s too good an opportunity to pass up. Mosaic chases after Spidey, leaping from body to body until he finds a bicycle messenger with a nice set of wheels. Possessing the bicyclist, Mosaic continues his pursuit until he finally gets in range of Spidey and leaps into his consciousness into the webslinger. Contact. And the issue ends with Spider-Man, possessed by Mosaic, clinging to a wall. Not a whole lot occurs in this issue. We get a lot of exposition about the nature and limitations of Mosaic’s powers. Those whose bodies he possesses retain trace residues of Morris’ memory; plus gain the ability to see Mosaic in his spectral form. Yet he can only possesses a given body once and appears to be locked out once he vacates that body. We also learn that much of Morris’ former life was a grand illusion predicated by lies and subterfuge. Tia never loved Morris; she loves Cece. And Morris’ father is shown as a duplicitous schemer who will go to deplorable lengths to mold his son into a star and cash-cow. What is made abundantly clear is that Morris’ seemingly perfect celebrity life was little more than an illusion and I have a feeling it won’t be something he especially misses when he finally truly embraces his new life as an Inhuman. The lack of decent action in the issue is made up for some heart-wrenching moments and terrific art. 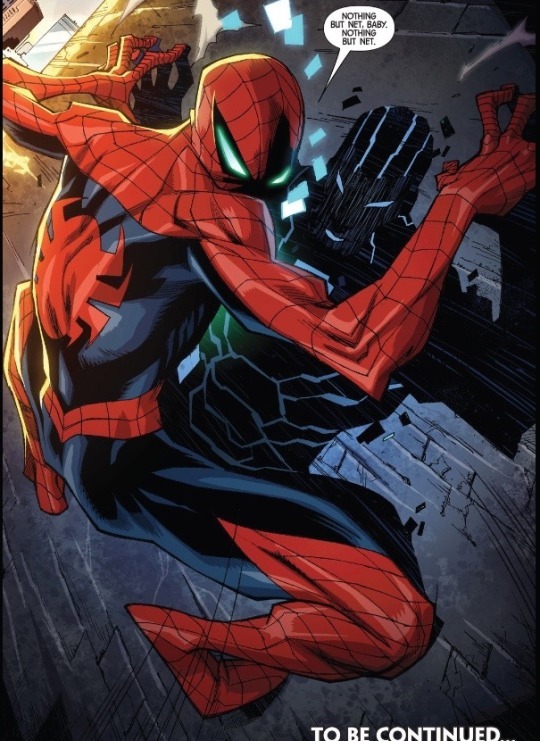 It’s especially wild to see Spider-Man illustrated by Randolph, Silas and Lopez… it’s a frame-worthy panel. I definitely like where Thorne and Randolph are going here. The deconstruction of celebrity culture is a worthwhile endeavor and the nature of Mosaic’s powers works well with the metaphor. 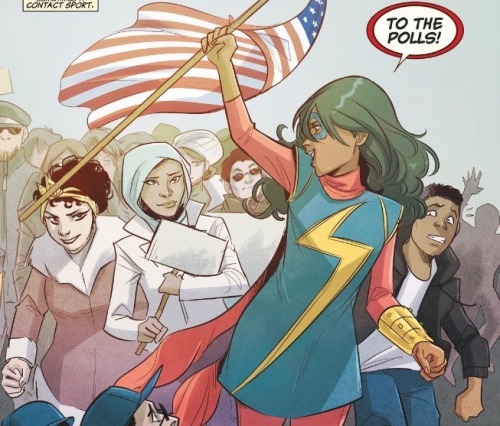 Although I also feel like this issue should have done more to move the plot forward and what could have been condensed into a third of an issue was drawn out into an entire issue. 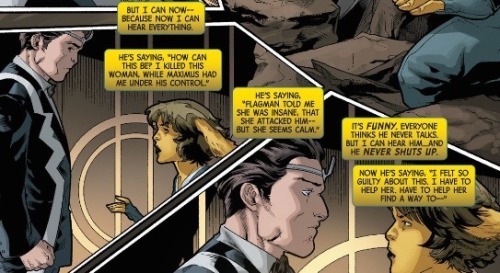 Although it could be that I’m just overly eager to see Mosaic interact with the other Inhumans. 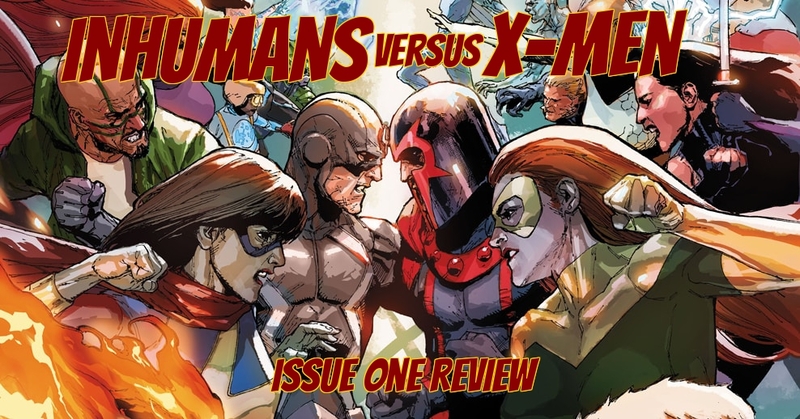 We know that some point down the line he throws in with The Inhumans of New Attilan (as evidenced by his appearance in Uncanny Inhumans #11) and I’m very excited to see how this comes about. The stage gets set for the big battle in this preamble to the cross-over event from writer, Charles Soule, with art by Kenneth Rocafort, and colors by Dan Brown. 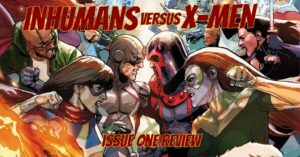 The narrative skips through a series of events that have occurred in the recent past, all the various factors, schemes, and follies that will ultimately culminate in a full scale war between The Inhumans and The Mutants. What we know off the bat is that The Terrigen Cloud, the last source of Terrigen on Earth and lifeblood of the Inhumans, has proven deadly to Mutants. 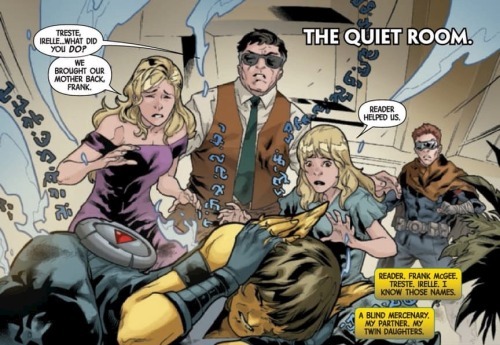 Upon discovering this, Cyclops and Emma Frost led a team of X-Men to take out the threat. 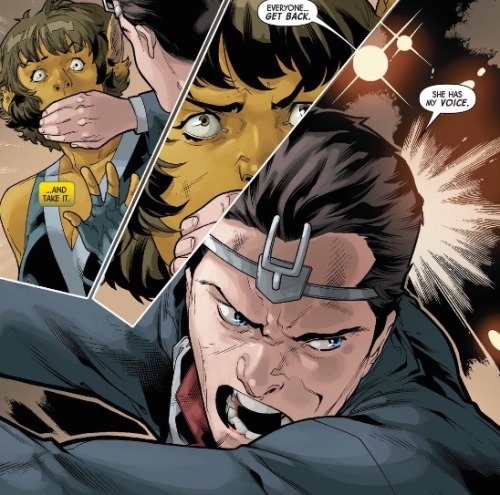 They succeeded in destroying one of the two Terrigen Clouds, yet the victory came at the cost of Cyclops’ life. IvX #0 occurs shortly thereafter. 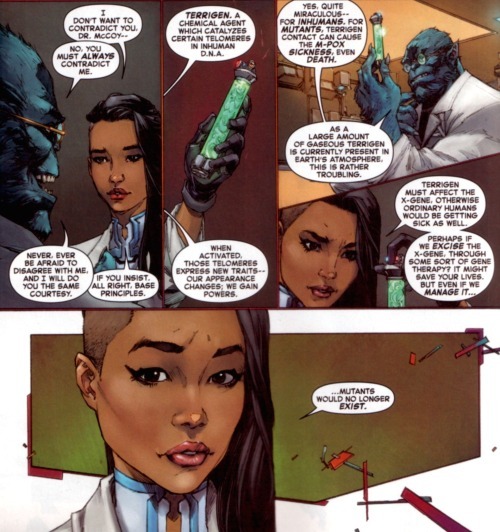 Hank McCoy, the Mutant known as The Beast, has come to New Attilan to utilize their resources in order to develop a cure to Terrigen poisoning in Mutants. To this end, Beast takes on Iso as a lab assistant and, at first, he is quite optimistic over their prospects of ascertaining a viable cure. 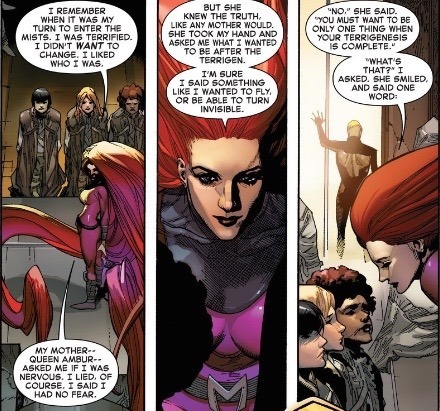 A very callous and out-of-character statement for Flint… although it’s important to keep in mind that this tale is occurring before the events of All New Inhumans #’s 8-10 where Flint met his birth-family – Inhumans who could be severely harmed by exposure to The Terrigen Cloud. 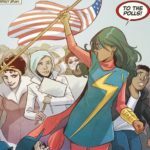 It seems that Flint has done a lot of growing up between the time of this story and the current timeline. Alarm bells are raised aboard the RIV. The Cerebro unit has detected a Mutant in the path of the Terrigen Cloud. 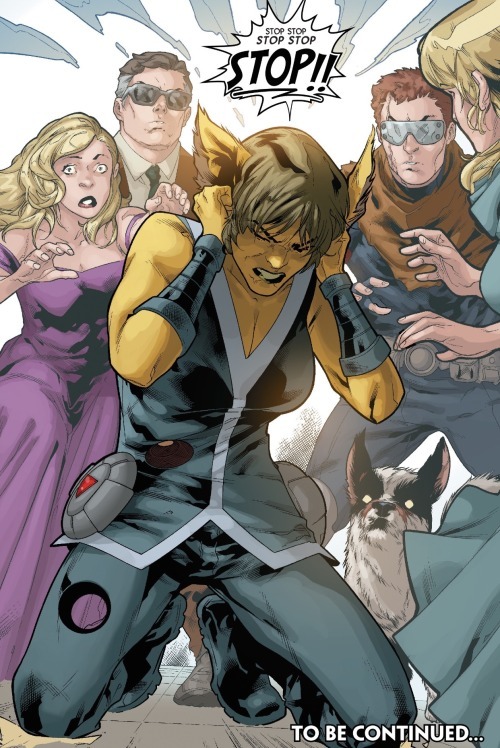 Crystal and her team mobilize to save this Mutant and The Beast is quite pleased to see Inhumans acting in the service of saving Mutants. 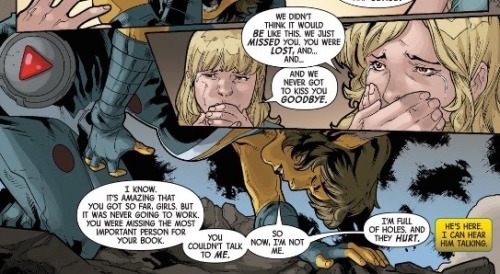 The narrative switches again and Emma is meeting with Magneto and his current team of Uncanny X-Men. 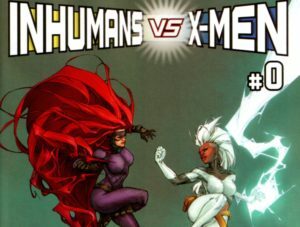 Emma attempts to recruit Magneto and his forces to her efforts to destroy the cloud and bring down the Inhumans. 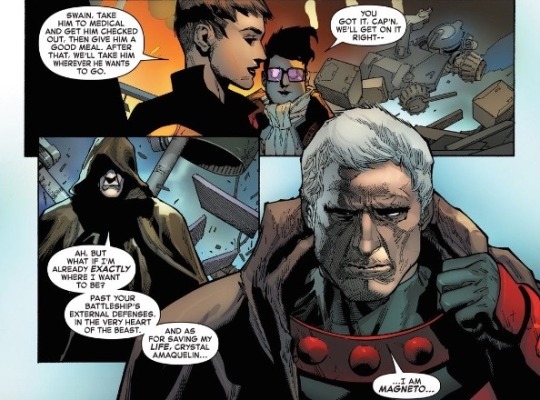 Magneto is surprisingly trepidatious over the prospect of facing off against The Inhumans. 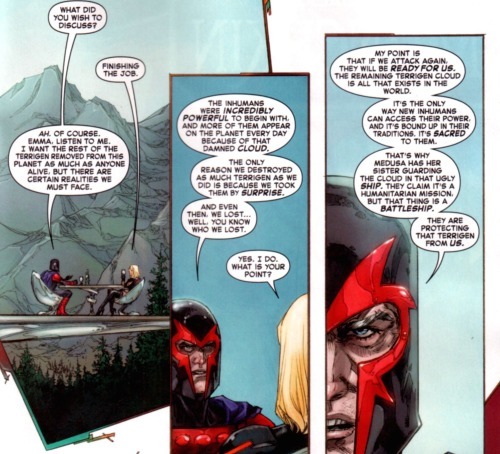 Magneto doesn’t see Crystal’s mission aboard the RIV as some altruistic act of good faith; rather he sees it as her guarding the Terrigen Cloud against the X-Men. 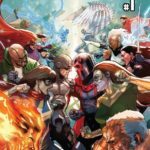 Furthermore, Magneto appears concerned that the combined forces of The X-Men may not be able to prevail win a full-fledged war against The Inhumans. Emma does not share this grim outlook; with the right strategy and forces, she remains confident the Inhumans could be defeated. Yet another jump in the narration finds The Beats and Iso collecting samples in The Savage Land. The Beast is growing more and more pessimistic as this cure has proven much more elusive than he had originally anticipated. 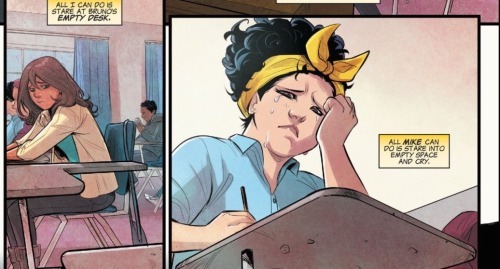 Another jump still sees Emma touching base with the All New X-Men team, the time-displaced versions of the original five X-Men. Emma does not outright recruit them to her cause, but rather sews the seeds of their being at her aide when she needs them. Herein we also get to see a bit of Emma’s softer side, the emotional undercurrents that are motivating her actions. 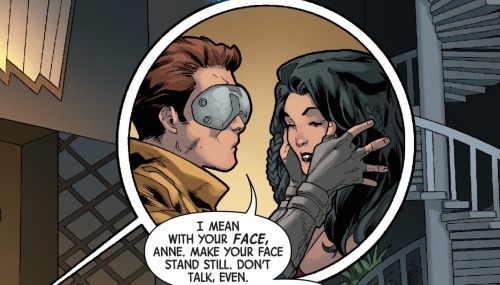 It’s all but heart-wrenching for her to see the younger version of Cyclops, reminding her of the love she had lost and steeling her resolve to move forward in her schemes. Meanwhile, on New Attilan, The Beast has become distraught in his lack of progress. 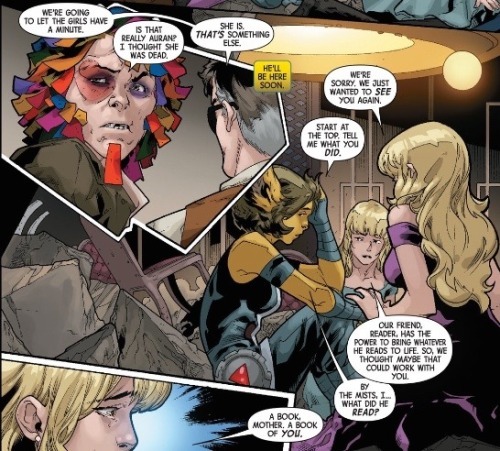 Terrigen toxicity in Mutants is not one disease, it is thousands of diseases, a new manifestation unique to each Mutant host. It’s a terrible setback, yet Queen Medusa is not going to allow Beast to wallow in his despair. She presses him to continue on; she has put her faith in him and he his faith in science, and he must prevail. The narrative switches once again to find Emma Frost sipping Champaign in a suite at The Hellfire Club. Her companion is left unseen but together the two are hatching plans within plans to forward Emma’s agenda. Who exactly Emma is speaking with is left up to speculation. Possible guesses might include Mystique, Lady Mastermind, or possibly even Madelyne Pryor. Time will tell. Back on New Attilan, The Beast is breaking under the strain. 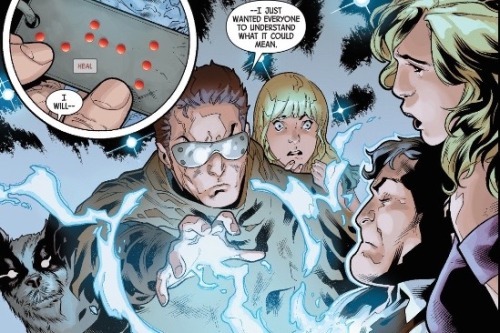 He has not been able to find a cure and the Terrigen in the atmosphere is quickly bonding with nitrogen molecules. Soon the earth will be completely uninhabitable for Mutants and there doesn’t appear to be a solution. 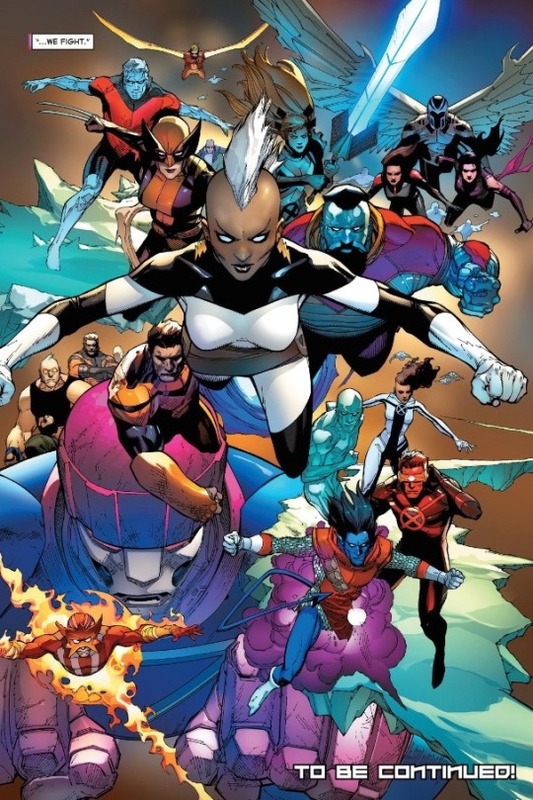 The issue concludes with Emma approaching Storm and her Extraordinary X-Men team. Beast has not reported positive results and Emma encourages Storm that it is time to take on a more proactive approach. 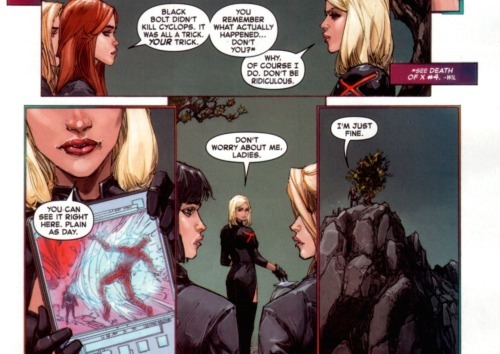 Storm is not ready to throw in with Emma, not ready to give up on a mutually beneficial answer. But she might be forced to act, forced to go to war alongside Emma as every other avenue is rapidly closing off. And it is here that the issue ends. 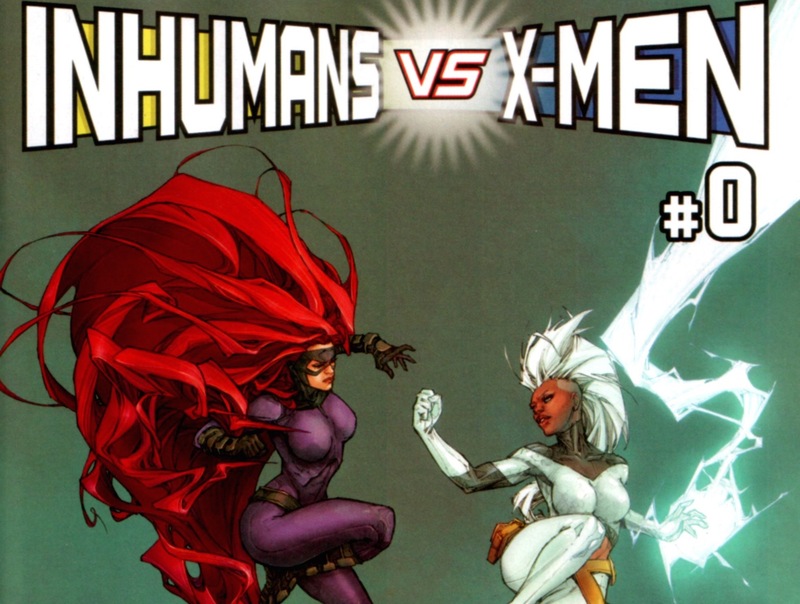 Akin to most ‘zero’ issues, this comic is a bit perfunctory and not entirely necessary to the eventual plot of IvX. It’s very much just a set up where the stakes are established, the sides drawn, and plot-holes are shored up. Still, the dialogue is mostly sharp and the art is pretty terrific. 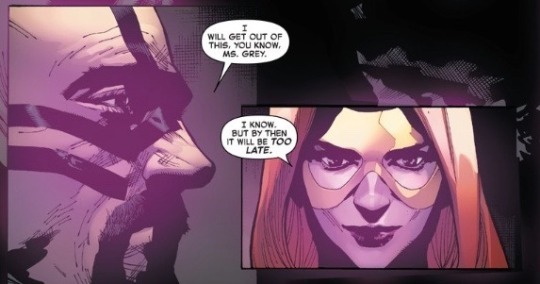 I imagine that many fans might be disappointed to see Emma Frost portrayed as the ‘villain’ of the issue, and possibly the event as a whole, but the role suites her just perfectly. Emma does manipulating and conniving so well, she wears it like a beautiful gown exquisitely tailored. Forcing her into the confines of ‘hero’ is a waste and Emma could very well prove a truly wonderful counter-foil to Maximus when he inevitably shows up down the line. 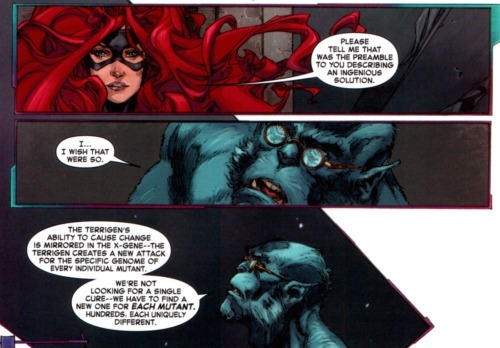 And kudos to Charles Soule for actually making The Beast come off as likable. I felt pretty bad for ol’ Hank as his optimism slowly faded and it dawned on him that a cure may be very well out of his grasp. 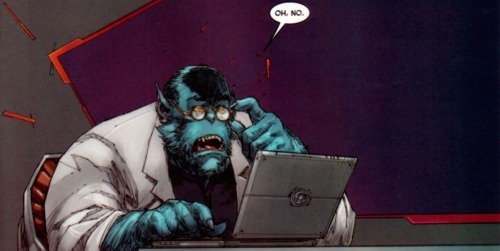 The assassination of Hank McCoy’s character has transpired over a decade in countless books by numerous authors. It’s unlikely that he could achieve true redemption in just one event, but Soule is giving me hope that it is at least possible. There’s not much to say about the rest of the characters in that this book was mostly about Emma and The Beast with everyone else mostly window dressing saddled with wooden and out-of-character lines. Although Kenneth Rocafort illustrates them wonderfully; especially Iso. All in all, this zero issue is not an absolute must, but does do a good job of setting he table for the oncoming feast. The fantastic art and shining moments for both The Beast and Emma Frost makes it worth picking up. Not essential, but fun nonetheless. Recommended for Inhuman/X-Men completists. Two out of Five Lockjaws. 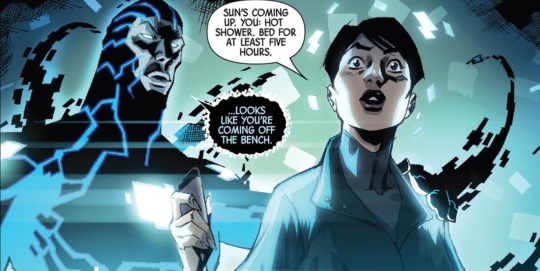 The quasi-resurrection of Auran continues in this tale from the creative team of Charles Soule, Adriano Di Benedetto, R.B. Silva, and Java Tartaglia. The last issue saw the twin sisters, Irelle and Treste, coheres Reader to use his reality-warping powers to bring their mother back from the dead. 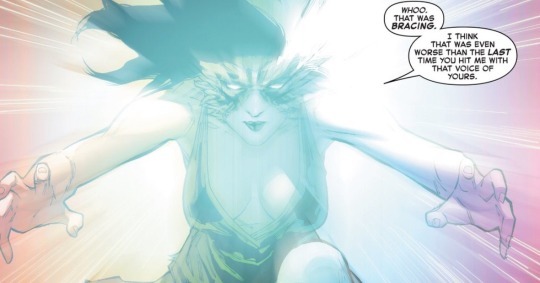 The twins’ mother, Auran, had perished, killed by Black Bolt while he was under the mental control of Maximus The Mad. Desperate to see her again, the twins learned about the nature of Reader’s incredible powers, that he can manifest into reality anything he reads. They set about compiling a book, a tome entailing what they believed to be a full account of who their mother was. Somehow, they managed to talk Reader into to reading it. He did and a version of Auran was indeed brought back to life. And yet, the being created is not exactly who she once was. She’s different, inexact and incomplete. All of the secrets, omissions, and forgotten pieces that the twins had left out of their book are represented as literal holes, gapping voids in Auran’s body. Frank McGee, Auran’s former partner and the twins’ current guardian, had discovered what the girls were up to and rushed to the Quiet Room (The Inhuman Nightclub underneath Grand Central Station) so to stop them. He arrived too late and is shocked to find Auran, her body riddled with holes, writhing on the ground. Frank is furious with Reader that he would do something so irresponsible and he gathers the girls to take them home. Treste and Irelli realize that they had made a mistake. They just wanted to see her again, get a chance to least say goodbye, but they never wanted this. Reader is told to get rid of her, somehow use his power to de-manifest her. Yet this new version of Auran has shaken off her confusion and pain and isn’t willing to be simply wished away. Auran leaps forth, attacks Frank and grabs his gun. Rushing off, she fires at Frank, striking him in the chest with his ray gun before fleeing into the crowd of The Quiet Room. Frank’s wound is fatal, he dying and the twins plead with Reader to use his powers to heal him. He can, but it will drain his power, leave him unable to again use his abilities to de-manifest Auran. It doesn’t matter, if he doesn’t act quickly Frank will die. Taking a braille tile on which the word ‘heal’ is written, Reader reads it and his powers magically undos Frank’s wound. Elsewhere, Auran has made her way into the dance club portion of the Quiet Room. She is confused and still in great pain, but she is quickly gaining her wits about her. Her memories, or at least the memories bestowed to her by her daughters’ book, are coming back. She remembers, she recalls how she died. She accosts a club-going, demanding to know where they are, where Black Bolt is. In so doing, she garners the attention of the club’s majordomo, Flagman. Flagman approaches with a troop of his bouncers who try to secure Auran. Though the bouncers are large and rather tough-looking, they’re no match for Auran. She attacks and defeats them all, including Flagman. Frank has caught up with her. He tackles her, insisting that she needs to stop. Auran is about to fight back when her daughters arrive and seeing them calms her down. All that has happened is explained to her and Auran comes to realize why she feels so different and incomplete. Much of the information that Treste and Irelli gathered was based on assumption and misconception. She is not truly Auran, but rather an amalgamation of other people’s recollections, both accurate and inaccurate, about who she was. And this includes the nature of Auran’s Inhuman powers. Auran’s enlarged, elf-like ears could hear any sound and locate its source across an uncanny circumference. That’s how her powers used to work, but not everyone who knew her truly understood it. 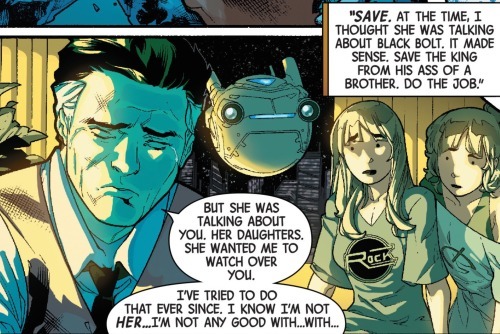 Now her powers work differently, now she is able to hear anything and everything… including Black Bolt. The former king of the Inhumans and current owner of The Quite Room, arrives and stands over Auran. And she can hear him! She doesn’t hear his voice but rather the thoughts on the surface of his consciousness. Herein she can hear his feelings of guilt over having killed her, as well as the fact that he had done so unwillingly while under the mental sway of his brother Maximus. Then Auran realizes something new. All of the people that her daughters had interviewed in compiling their book had different ideas of how exactly her powers work… some thought it had something to do with sound, something to do with hearing, something to do with control. All of that has now been mixed together and augmented Auran’s power to an exponential degree. Black Bolt’s words would normally have destroyed much of Manhattan, but that power is gone and his voice is normal. It appears that Auran has used her new amalgamated abilities to take it from him, to have it as her own, and in so doing become possibly the most powerful and destructive Inhuman of them all. And it is here that the issue ends with the promise of a conclusion in the next installment. Wow, what a fun issue! 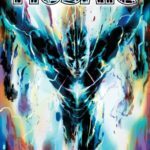 Another example of how Uncanny Inhumans has just been a wonderful science fiction/superhero romp, exploring new ideas in an inventive fashion. 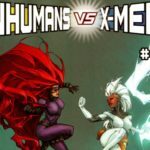 Sadly, next issue will be the last fully Inhuman installment of the series. From there the book will be dominated by cross-over issues with the IvX event; after which writer, Charles Soule, is set to step down from the book and it will likely end, relaunched in the form of the new title ‘The Royals.’ All of that should be quite exciting, but also kind of a shame because Uncanny has been such a fun and satisfying book with cool characters and inspiring new ideas. And this issue is no different. I really like what the story does here in exploring the constructive and inexact nature of memory and recollection. Research in the field of cognitive psychology has shown that memory is rarely if ever perfect. When we recall a memory, we take all of the various pieces of encoded information and reconstruct it back into a narrative. It’s an inexact process, quite prone to all manner of interference and obstacle. Assumptions, other memories, mis-recollections can all act to obscure the memory and produce an adulterated, inexact recall. Psychologist, Elizabeth Loftus, has conducted some of the more renown studies on the inexact nature of memory. 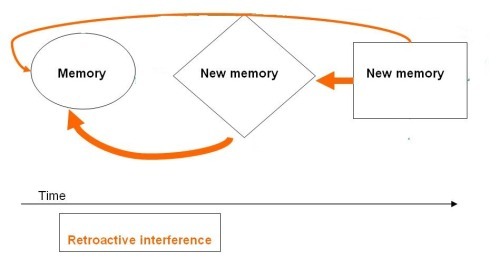 In her research on the ‘misinformation effect,’ Loftus and her colleagues found that memory can be affected and impaired by way of retroactive interference. This occurs when new information influences and shapes older, previously encoded information. For example, someone can be shown a short film of a person wearing a red shirt performing a task; and then later shown a picture of that same person wearing a blue shirt. Quite often, when asked to recall what they had seen in the film, individuals will incorrectly recall that the person in the film was wearing a blue shirt. New memories mix with old memories, creating confabulated, mixed memories. In short, memory is not an exact process. 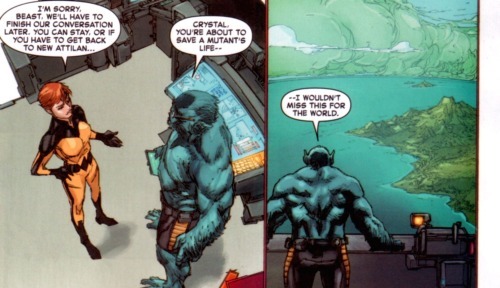 And this important truth is underscored in this story-arc of Uncanny Inhumans. Just as memory is inexact so too it the re-manifested Auran an inexact being. She is a confabulated amalgam, both incomplete as well as boundless. 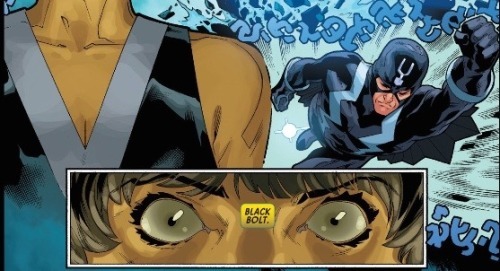 The fact that Auran has been able to take Black Bolt’s voice, that she can now wield near unlimited destruction with her words, further augments the symbolism. False memories, after all, can be hugely destructive. False memories have resulted in innocent people being sent to prison, they have ripped families apart, they add to prejudice and bigotry. The ‘capricious seamstress’ of memory is pure havoc, and it is wonderfully represented in an incomplete Auran armed with an ultra-destructive voice. I cannot wait to see how this story resolves. Highly recommended. Four and a half out of Five Lockjaws. A wild new story arc begins here from the creative team of writer, Charles Soule, artists, Adriano Di Benedetto and R.B. Silva, along with colorist, Java Tartaglia. 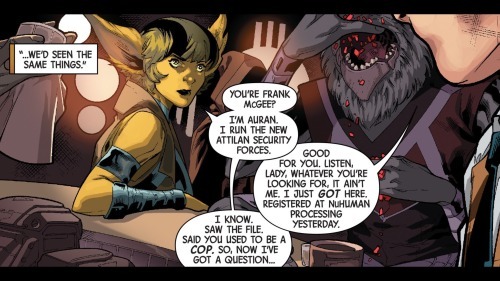 The tale is all about Auran, the intrepid chief of security who was initially introduced in the pages of the first post-Inhumanity book, ‘Inhuman.’ Auran was a very neat character who captured fans’ interests and attention right away. Her special powers entailed a specific type of echolocation: with her large elf-like ears, she could track down any sound, utterance, or given word within an uncanny range… it helped make her one of the best detectives of all of Attilan and she was tapped by Medusa to head up internal security during the foundation of New Attilan. Auran sought out the new Inhuman, Frank McGee, to act as her lieutenant. 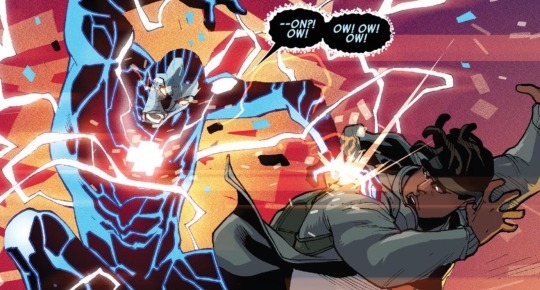 McGee had been a NYPD detective in his earlier life and Auran was able to coax him to return to the job as a part of his new life as an Inhuman. McGee was having an especially difficult time adjusting to all that had changed for him. Becoming an Inhuman was difficult; he lost his job, his wife had left him, he was lost and adrift. Auran gave him purpose. They were kindred spirits and they became terrific partners and fast friends. Auran ultimately sacrificed her life in order to save Frank. With her dying breath she pleased with Frank to look after her two daughters. Aura’s twin teenage daughters, Treste and Irelle (we still do not know who or what has become of their father), have proven a handful for Frank, but they’re good kids and Frank has been a good guardian for them. Treste and Irelle have been working on a secret project over the last several months. They have been collecting stories about their mother, interviewing everyone who had ever knew her, anyone who interacted with her, tales that have been told about her. At first Frank assumed that the girls were just trying their best to cope with their grief over their mother’s death, but they actually have a much more intricate and potentially dangerous plot afoot. At some point down the line, one of the sister learned about the Inhuman from Orolan named Redaer. Reader is an especially powerful Inhuman, a reality-manipulator who can make real anything that he reads. The old zealot monks of Orolan feared this power so they had Reader blinded, cutting his eyes out from his head… yet Reader learned to traverse this obstacle by teaching himself to read brail. Treste and Irelle have taken this massive amount of research and transcribed it all in into a large book, published in brail. Their plan is to convince Reader to read this book and in so doing regenerate their mother and bring Auran back to life. 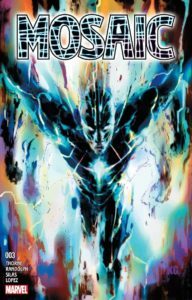 The girls seek out Reader in the Quiet Room, Black Bolt’s nightclub in the heart of Manhattan. Reader has been spending a lot of time there, flirting with women and running up a sizable bar bill. Treste and Irelle make their proposition to Reader, but he refuses outright. What they are asking him to do is remarkably dangerous. He might succeed, he could bring Auran back to the land of the living, but she surely wouldn’t be the same. She would be merely be a collective of memories and stories, not the true soul that her daughters had known… all of her secrets and untold tales will not be there and who knows how or if these crucial spaces will be filled were she to be actually manifested back into a living being. The girl are not easily dissuaded, the plead with Reader, demand that he help them. Treste had once helped Reader save his dog and best friend, Foray, and she holds it over his head… he owes them. The thing about Reader… for all of his power and understanding of the great responsibility that comes with this power, he is actually kind of a push-over. He had lost his own parents when he first manifested his powers and he knows the twins’ grieve quite well. Against his better judgement, Reader is ultimately convinced to help them. Reader takes the book that the girl have made and reads it. Meanwhile, Frank has become wise to what the girls are up to. He discovers the brail-printer they had used and realizes exactly what the two are up to. Understanding just how dangerous their endeavor may be, he rushes off to the Quiet Room to try to put a stop to it. By the time Frank arrives it is too late. Reader has finished the book. His powers have surged and Auran’s being is manifested back into reality. But who exactly is this Auran? Is she the kind mother and dutiful detective that they all knew, or someone/something entirely different? We’ll all have to wait to find out in that the issue ends on this cliffhanger with the promise of being continued in the next installment. Death in superhero comics has lost a lot of its weight and consequence over the years. 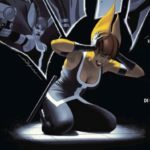 When a main character dies in the pages of a story it can be sad and tragic (or sometimes a relief), yet above all else it is most often temporary. I can think of few central characters who have died who haven’t subsequently returned sooner or later. 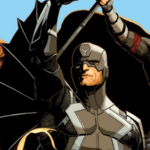 The Inhumans have been no different… Black Bolt, Maximus, and Karnak have all died and all have ultimately returned to the land of the living. 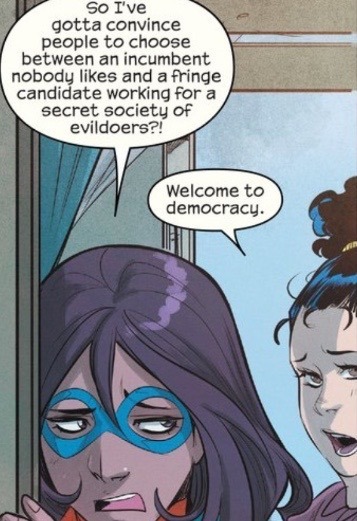 And while I’m certainly glad that these specific characters returned, I also think that the revolving door of death in comics is a problematic thing. In many respects, death is the driving principle of our lives. The fact that life is finite, that there is an end, drives us and provides a motivation to do things and succeed and get things done before our time runs out. Take death away and you also take away motivation… it takes away meaning. I realize that all these Inhuman are fictional characters, but when characters who die are routinely returned to life, the sense of peril and excitement (and meaning) of the tales begins to wane. 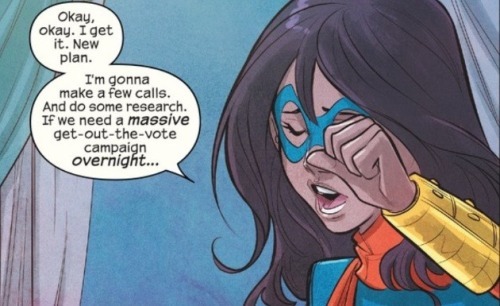 This is something that I feel the entire superhero comic business needs to address. This constant flow of resurrections is watering down the emotional weight and meaning of the stories. But I digress. 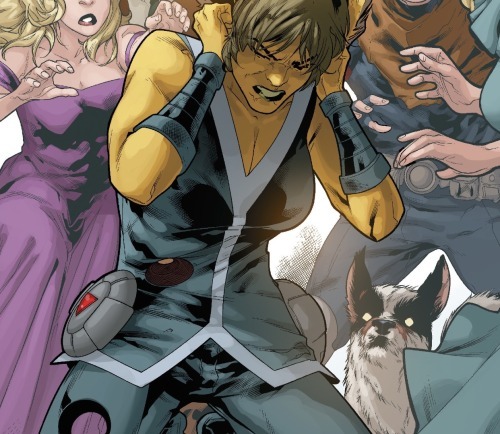 I quite like Auran and (my objection to resurrecting characters notwithstanding) I’m happy to see her come back. And Soule and company have come up with a novel and intriguing method for facilitating this resurrection. Reader’s powers are just endlessly fascinating and I’m absolutely intrigued to find out exactly this quasi-resurrection has effected her. The art by Di Benedetto and Silva is pretty cool. I’m not a huge fan of how they depict the central characters, but that is merely a matter of personal preference. They do an excellent job of compressing a lot of information onto the page. The ways in which they illustrate Attilan and the confines of The Quiet Room has a very ‘Star Wars’ feel to it – a lived-in, alien setting populated by all matter of strange creatures who don’t seem out of place despite their weirdness. It’s a very fun issue, although I must point out that I have one chief complaint: where is Black Bolt? 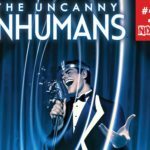 With an increasingly oversaturated comic book marketplace, Uncanny Inhumans has been slipping dangerously low in the sale department. Rectifying this is easy: we need more Black Bolt. This aside, Uncanny 15 is still a very fun read and definitely recommended. Three out of Five Lockjaws!